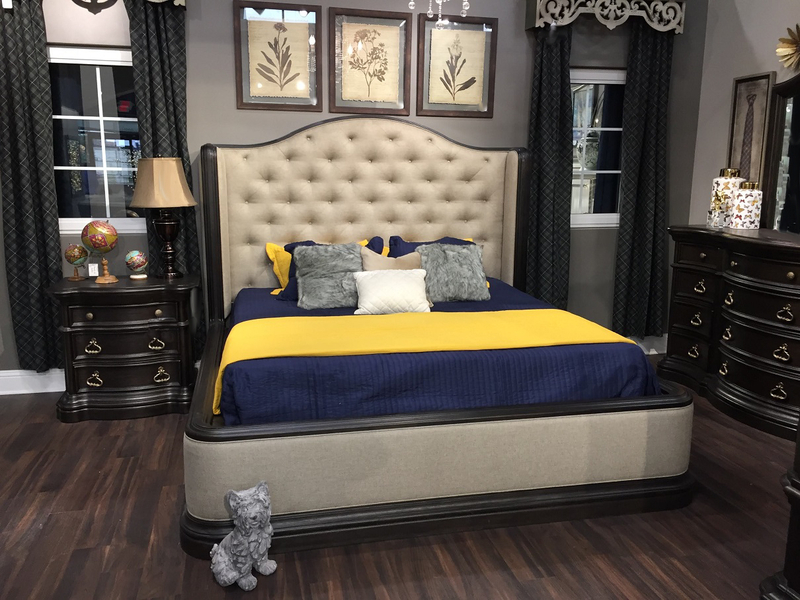 Feel warm and inviting with our Corsica queen bedroom set with its European style inspiration, unique peppercorn finish, and its black pewter accented hardware. The warn rustic beauty of the Franklin bedroom set uses a deep finish and ornate details to created an inviting furniture collection. This stunning silver wood finish bedroom set is complemented by faux reptile detailing and elegant grey fabric. Wood grain finish and canopy style bed, the Aventura collection is hand crafted and features re-enforced metal brackets for easy opening and closing of the drawers. Give your bedroom a sense of comfort with our Luxurious Christian queen bedroom set. It features an arched headboard with a matching footboard and sideboards to enhance your home style. This carefully designed Layla queen bedroom set features faux Leather tufted headboard brings comfort, convenience and elevated style to your guest room. Give your home an ornate aesthetic with our majestic Seville queen bedroom set. Its traditional shape styling gives an immediate luxury touch to your bedroom.